How do I get the highest price for my property? DON’T COUNT ON ZILLOW.COM to have your best interest in mind. A “JOHN DOE” APPRAISAL” or contact a real estate broker for a CMA (Competitive market analysis will provide you with the most up to date information that will directly effects the market value of your property. Location, price, condition and terms are the big 4 factors that determine a properties value and the time it will take to find a willing and able buyer. Property with a good location and in above average condition and that is price competitively will sale all cash in the shortage period of time. The key is to know your competition extremely well and know what has sold in your area over the last 6 months. Do not use a website to establish value. Get a broker who knows your market to go over a detailed CMA with you. Ask questions!!! FACT: SOLD IN 30 DAYS OR LESS. In any Market: A new property on the market is a Hot property on the market. Price your property to sell. ADVICE: keep your home showroom-ready at all times. If your home is vacant, prepare to carry it along for awhile. Neglecting it can definitely cost more than keeping it up. ADVICE: Your home must stand out! Even with excellent photos, a wide-ranging Internet presence, a lockbox for easy access, and a desirable location/floor plan/condition, you’re fighting to find a buyer. Consider home staging. Use an aggressive Realtor who keeps you informed, AND who has a successful present-day track record. Price is paramount: adjust it regularly (every 15-30 days) until buyers start to come around. FACT: Buyers want a “turn-key” home whenever possible. Inspections & repairs are the biggest sore spots that threaten a completed sale. ADVICE: Have your home inspected before an offer comes in; this includes not only a pest inspection, but well & septic system where applicable. And consider a roof inspection . . . and a pre-listing home inspection, too! Fix everything if at all possible . . . offer a home warranty, roof certificate, more! These expenses up front are far less costly than any price reduction. 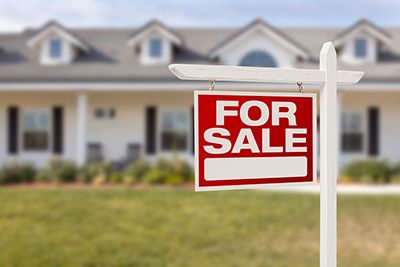 FACT : Many home sales fall out of escrow! Lenders’s requirements can and DO change midstream, knocking out some buyers during escrow. Buyers worry about declining values, unexpected repairs . . . and during escrow, some keep looking for an even better value. Most buyers can “jump ship” up to 17 days into their contract at no loss – – – simply if a better deal comes around. This is the reason for many failed sales in the current market. ADVICE: Don’t play games! At the start, complete your property disclosures & inspections. Accept (or request!) the shortest escrow period possible. During escrow, read your preliminary title report (again, ask your Realtor to help) and correct or clarify any problems with easements, safety hazards, liens or title disputes. Further advice: Weigh your position in re-negotiations very carefully, because the next buyer will almost certainly offer EVEN LESS. I’m proud to report that my team and I hold deals together at all possible costs; our satisfied clients will affirm this. Regardless of the problems, re-negotiations, and sacrifices that are called for along the way, we stick with YOUR goals. FACT : Conventional wisdom says to price your home equal to (or a bit below) the competition. ADVICE: Set your price with care. “A wee bit below the competition” might be inadequate. If your home isn’t shown often in the first 10-14 days on the market, ADJUST THE PRICE, because after that time passes, most of the current & active buyers have already considered it – – – and passed. FACT (Hypothetically): You’re on the market now, not getting any traffic or offers . . . but you cannot fathom the idea of lowering your price. ADVICE: Evaluate brutally what you CAN afford. If you must sell, you have little or no choice but to take whatever price the market will bring. If you’re priced too high, you may not sell. Call your Realtor and demand that the harshest facts be laid on the table now, not later. Ask to see the pending sales for similar homes as of this date, swallow the medicine, and price your home to compete accordingly. Oh, and if you’re NOT serious about selling – – – and will only settle for yesterday’s top dollar – – – please save yourself (and your Realtor) any further grief! Take it off the market for the next 3-6 years, and/or fix the home’s problems to offer more value. Home buyers have never been so well-informed. My buyers and I won’t waste time looking at overpriced homes – – – and few others will, either. There are too many well-priced homes out there for consideration! Being ready to show the home at a moment’s notice is a hassle . . . but perhaps a weekly cleaning service is a guilt-free investment, NOT an indulgence! Check out the competition yourself (regularly), regardless of what your Realtor does. It’s your house and your money! Keep your flyer box stocked & signs up! Offer flexible financing: carry a second trust deed, or pay fees to reduce the interest on a buyer’s mortgage. Ask your Realtor for details. Call me for more advice. If your home isn’t presently listed with a Realtor, I’d appreciate a chance to offer a market evaluation of your home. Still shopping for a Realtor, but you’re out of my market area? Be aware that I LOVE to ask other Realtors tough questions, and would be delighted to assist you in locating and qualifying the best candidates. Drop me a line with your three pet peeves – – – AND your three greatest needs!